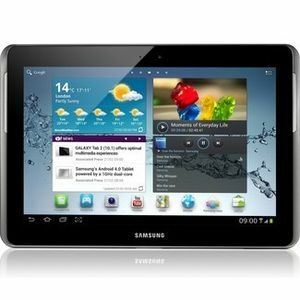 The Samsung Galaxy Tab 2 is an Android tablet released in the spring of 2012. It has many different versions, with variations coming in capacity, connectivity, and screen size. The screen size options are 7" and 10.1". Storage capacities vary between 16 GB and 32 GB. There are also HSDPA enabled versions as well as Wi-Fi versions. A Samsung Galaxy Tab 2 can be bought with any combination of these variations. They are all powered by a TI OMAP 4430 dual-core processor with a clock speed of 1.0 GHz. All times are GMT +3. The time now is 23:25.